Possibility to spend the night at Los Angeles airport (LAX), if open 24 hours. Services available, places to rest (free resting zones), or look for the list of nearby hotels and vip lounges..
Los Angeles airport is huge and crowded. Movement throughout the terminals is constant, so if you are planning to spend the night inside the enclosure, it is recommended to have an eyemask and earplugs. Keep in mind that the security checkpoints close at night, so if you arrive later you will likely have to remain in the public area. It is important to point out that the airport is being constantly remodelled, and therefore conditions can change. Where to rest: Many of the seats inside the terminals have armrests, so be prepared accordingly. The most comfortable options are found in the Departure areas, but, as previously stated, you may not have access to them. Luckly, some floor sections are carpeted, so if you have a sleeping bag you will not be so comfortless. On the other hand, in the baggage reclaim hall of terminals 3 and 6 you can find a few long benches without armrests, although made of wood. If you are in the boarding area, many terminals have VIP lounges (especially the international terminal), where you can access more amenities and privacy. However, these close at night. 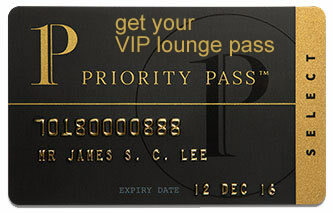 SEE VIP LOUNGES Remember that you can always book a room in one of the hotels nearby, a few of which are mentioned below. If you do it beforehand, you can likely arrange your transfer directly with them. Baggage: There are no luggage storage offices inside the airport. Eating and drinking: Commercial stores close during the night. Restrooms: Showers available inside the VIP lounges, but not in the public toilets. Wi-Fi: Free, in unlimited, 45-minute sessions. Other services available around the clock: ATMs, nursing rooms. There are many accommodations near the airport, most with free shuttle services to and from the enclosure. On the Arrivals level and the baggage reclaim hall of each terminal there are courtesy phones to request information and make reservations. Hyatt Regency Los Angeles International Airport (Tel +1 424 702 1234), Courtyard Los Angeles LAX/Century Boulevard (Tel +1 310 649 1400), Sheraton Gateway Los Angeles Hotel (Tel +1 310 642 1111), H Hotel Los Angeles Curio Collection by Hilton (Tel +1 310 215 3000), Homewood Suites by Hilton Los Angeles International Airport (Tel +1 310 215 3300), Crowne Plaza Los Angeles Airport (Tel +1 310 642 7500), Residence Inn Los Angeles LAX/Century Boulevard (Tel +1 310 568 7700), Embassy Suites by Hilton Los Angeles International Airport North (Tel +1 310 215 1000), Los Angeles Airport Marriott (Tel +1 310 641 5700), Four Points by Sheraton Los Angeles International Airport (Tel +1 310 645 4600).